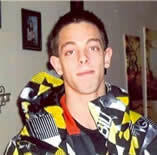 On January 1st 2013 Travis Benjamin Bilay was reported to the Dauphin RCMP as a missing person. On May 7th, 2013 human remains were located on a rural property southwest of Dauphin, Manitoba. The remains were identified as those of 24-year-old Travis Bilay of Dauphin, Manitoba.